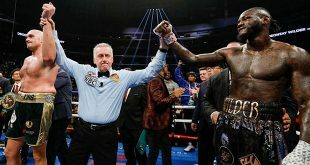 The biggest result coming from the excellent bill of fights that took place this past Saturday at the Mandalay Bay in Vegas was that ageless wonder Bernard Hopkins continues to impress. 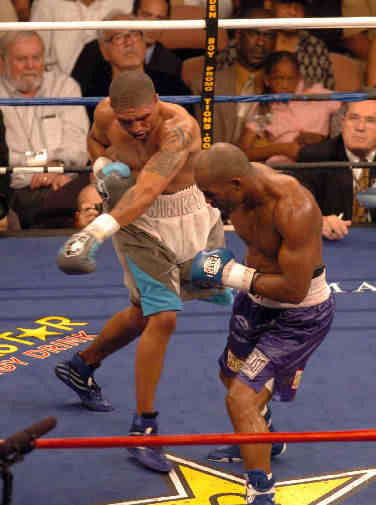 The 42 year old remains the standard bearer of Philadelphia's long tradition of producing top fighters and is arguably the best light heavyweight in the world after sitting atop the middleweight division for a solid ten year period. 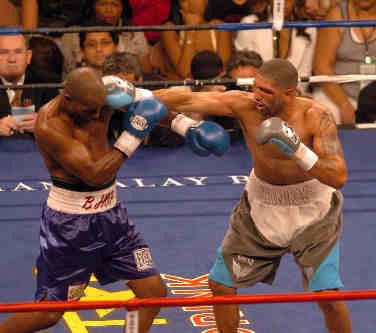 At the Mandalay Bay on Saturday, Hopkins turned back the surprisingly ambitious Winky Wright, who was making his first foray into the light heavyweight division. 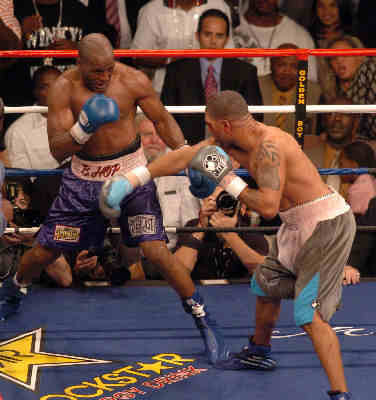 Hopkins managed to get inside the head of Wright before the action started and a furious Winky abandoned the southpaw counter punching style that best suits his skills in favor of attacking the crafty old boxer for most of the fight. 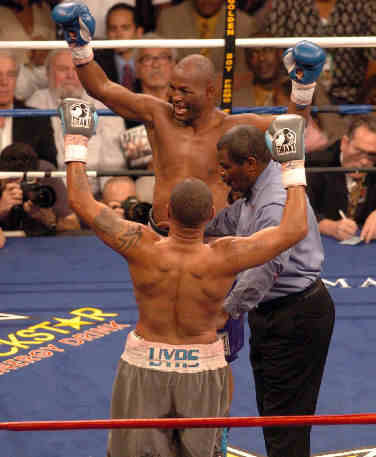 Once again, Hopkins had managed to take another opponent away from what they do best and as a result was able to conserve his energy while Wright expended his own, round after round. 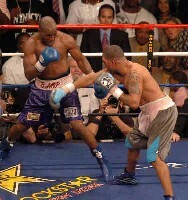 Hopkins also used Wright's own forceful attack to his advantage with liberal use of his head, which may have done more damage to the ex-light middle world champ than the fists of Hopkins. Hopkins' constant clinching, wrestling and repeated short shots on the inside also wore down and frustrated Wright. But Wright, 51-4-1 (25), did win a lot of rounds with his pressure and workrate, doing much better in his losing effort than the official scores reflected, and succeeded in showing that while Hopkins, 48-4 (32), is still a world class fighter, the Philadelphia warrior is not completely escaping the aging process. What's ahead for Hopkins? 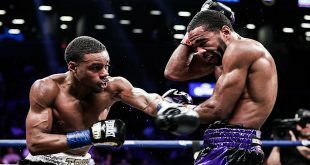 Ideally a rematch with Roy Jones, Jr to revenge the 1993 blemish on the record of "The Executioner" but Jones has stated publicly that he isn't interested despite he and Hopkins being in the same weight class. At the tail end of his career, Hopkins is only interested in meaningful, big money fights and while a title bout with any of the light heavyweight champs could likely be made, the modern day great is now targeting longtime WBO Super Middle Champ Joe Calzaghe, who must first win a serious showdown with WBC/WBA Champion Mikkel Kessler in November. If it takes place in the UK, a Hopkins vs. Calzaghe clash could fill a soccer stadium and generate the biggest payday in Hopkins' long and storied career. 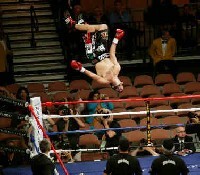 There were two other high level bouts on the Mandalay Bay card, with Venezuela's Jorge Linares stepping way up in competition to shockingly stop Mexico's longtime former world super bantam champ Oscar Larios in the tenth round to win the Interim WBC Featherweight title and Aussie hardman Michael Katsidis pounding out a 12 round decision over Filipino aspirant Czar Amonsot to retain the Interim WBO Lightweight crown. Linares, 24-0 (15), came into the bout with Larios, 59-6 (37), as a hot prospect who had fought most of his career in Japan but was completely untested at world level. 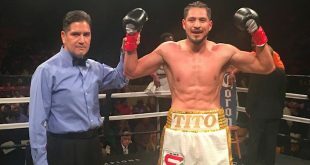 Regardless, Linares proved his worth by comprehensively outboxing the veteran, who has now lost his last three high profile bouts. 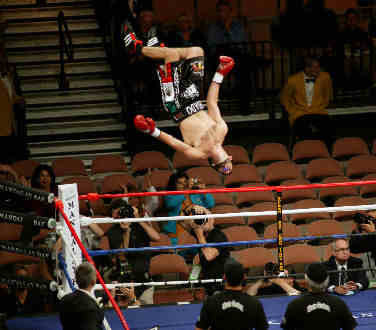 On the strength of the outstanding victory, Linares should get his chance to unseat WBC full champion Injin Chi before the year is out. Katsidis, 23-0 (20), followed up his fifth round crushing of British and Commonwealth Champ Graham Earl with a much more difficult fight against a very tough opponent in 21 year old Amonsot, 18-3 (10). 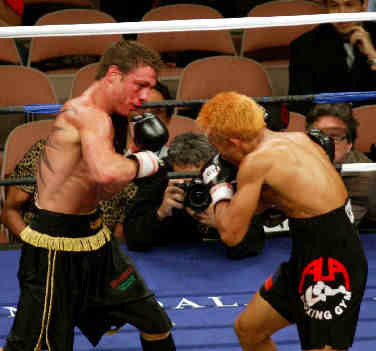 The Australian puncher almost stopped Amonsot in the second but the Filipino regrouped and the pair battled it out in an exception slugfest that remarkably saw both fighters finish on their feet with Katsidis picking up the close unanimous decision victory. 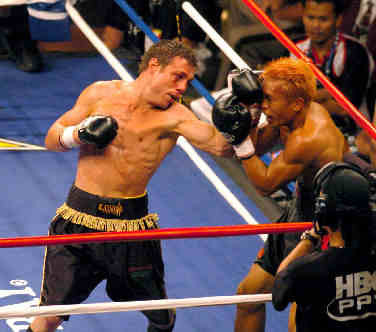 Katsidis should be in for another total experience in trench warfare when he meets full WBO Champion Juan Diaz, should "The Baby Bull" get past IBF Champ Julio Diaz in October.